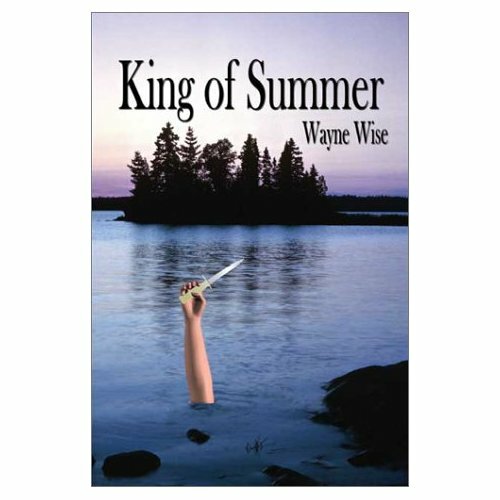 For those who don't know, back in 2002 my first novel, King Of Summer was published in a trade paperback format by PublishAmerica. I recently reaquried the publishing rights to the work, so I thought now would be a good time to reflect on the whole experience. It was, overall, a good one. I didn't get rich or make any bestseller lists. I did make some money and get a lot of positive feedback from readers. I also learned a lot about the publishing business. I went to some writing conferences, met editors and agents and, of course, other writers. It was good to share our stories. I guess I should address the nature of PublishAmerica. It has been controversial over the years it has existed, and in some cases, rightfully so. PublishAmerica (PA) is a Print-On-Demand, or POD publisher. What this means is they utilize modern printing technology so that rather than committing to a huge print run for an author they only print the number of copies they actually have orders for. This, in theory, cuts down on expenses. They are not, or at least when I first signed up with them they weren't, a vanity press. They are a royalty-paying publisher, and on record here I never paid them a dime when my book was in print. They had editorial services for many of their authors. My book was pretty much published as I wrote it, so I didn't have any editorial input (though I have talked with other PA authors who did). I was sent PDF proofs of my book and had a lot of input into the cover design (I liked the photo they used, hated the bad Photoshop elements they added to it). They made my book available to Amazon and Barnes & Noble online. My book was distributed by the two largest book distributors, Ingram and Baker & Taylor, and I made a few overseas sales through them as well. I received royalty statements/checks every six months. Like I said, I didn't make a lot of money, but I made some. There were some good reviews posted. You can view them at these three places (there are used copies still for sale here, but no new ones are being printed, so I won't make any money off new orders. If you want to read it stay tuned to this space for some announcements in the next few weeks). Now on to the complaint department. My book was overpriced. I'm sorry, but $21.95 is too much to pay for a trade paperback of any book, let alone a short one from an unknown author. This had to have a negative impact on sales. PA did nothing to actually promote the book other than list it as available. I realize that promotion is at least partially the responsibility of the author these days, and I did some, but would it kill you to send out a few review copies? They made copies available to me at a significant discount which I could then resell at a higher profit than my royalties, but the number of copies I could move myself was limited. If I didn't work at a comics shop that agreed to put my book on the shelf (and a legion of loyal friends I could guilt into buying it) I wouldn't have sold half the personal copies I did. As time went by PA sent more and more “deals” to me to get me to buy more copies myself. It was evident to me that I was the only customer for my book I had left and they would rather keep trying to sell to me than promote it to anyone else. So anyway, my contract with them is over and I have full rights to King Of Summer again. This has all been about the publishing experience, and not so much about the writing experience. I'll talk about that later. I don't think I came up with any great insights from this, but ti was good for me to put it into perspective. Whatever frustrations I may have had with the experience, or with PublishAmerica, I'm still glad it happened. It felt like an accomplishment, and the feedback on the work itself helped me firm up my identity as a writer. I'm not sure I would have continued and produced more work if the book hadn't been published. It provided the inspiration to write more. Once I finished one and had some positive reinforcement it was easier to go on to the next project, and the one after that. While nothing has come of those yet, it's really about showing up and doing the work (and yes, there are days I'm much better at that than others). I write, I draw, I create because I simply don't know how to live any other way. While in the process of creating it's never about what monetary reward awaits at the end. It's about the act of creation. When it's going well very little feels more rewarding to me (and nothing more frustrating than when it's not going well). Of course, I wouldn't turn down a multi-million dollar book and movie deal if it came my way. In the meantime I'll keep creating.